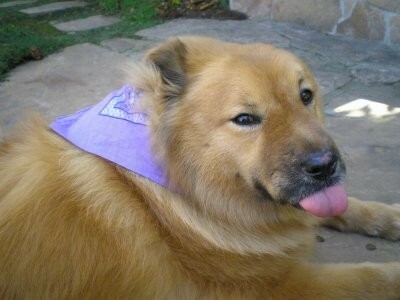 The Golden Chow Retriever is not a purebred dog. 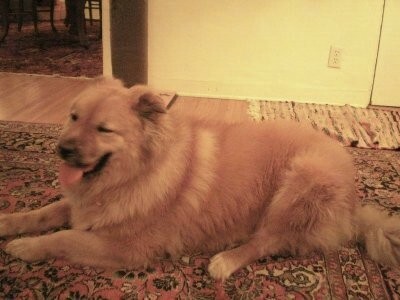 It is a cross between the Chow Chow and the Golden Retriever. The best way to determine the temperament of a mixed breed is to look up all breeds in the cross and know you can get any combination of any of the characteristics found in either breed. Not all of these designer hybrid dogs being bred are 50% purebred to 50% purebred. It is very common for breeders to breed multi-generation crosses. 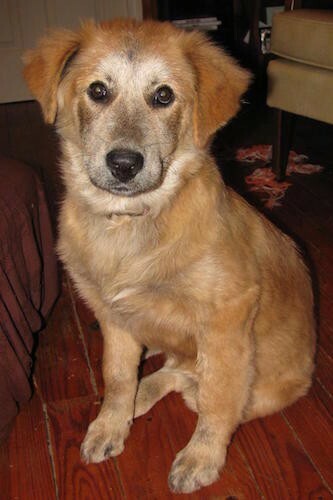 Mojo the Chow Chow / Golden Retriever mix as a puppy at 12 weeks old. 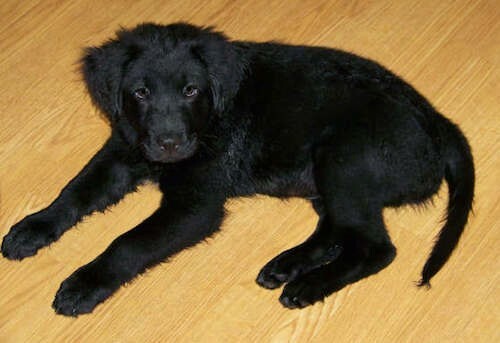 He came from a purebred Chow Chow mother (black) and a purebred Golden Retriever father. 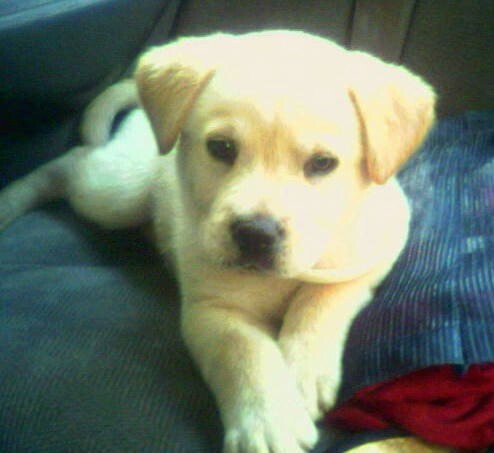 "This is Hazel at 4 years old. She is very friendly with people, but overprotective of me. When she walks, she kinda shakes her back end in a V-formation."